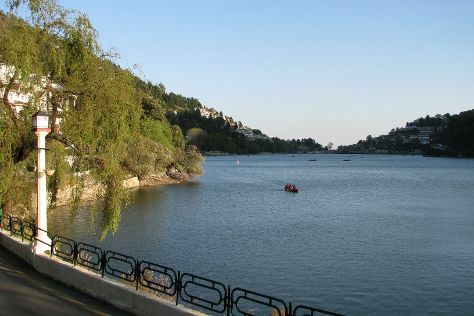 Get out of town with these interesting Nainital side-trips: Bhimtal Lake (in Bhimtal), Ghorakhal Golu Devta Temple (in Bhowali) and Sattal (in Sattal). There's much more to do: explore the activities along Nainital Lake, get great views at Snow View Point, take in the spiritual surroundings of Naina Devi Temple, and walk around Eco Cave Gardens. To find where to stay, photos, ratings, and other tourist information, read Nainital route planning tool . Finish your sightseeing early on the 31st (Fri) to allow enough time to travel back home.